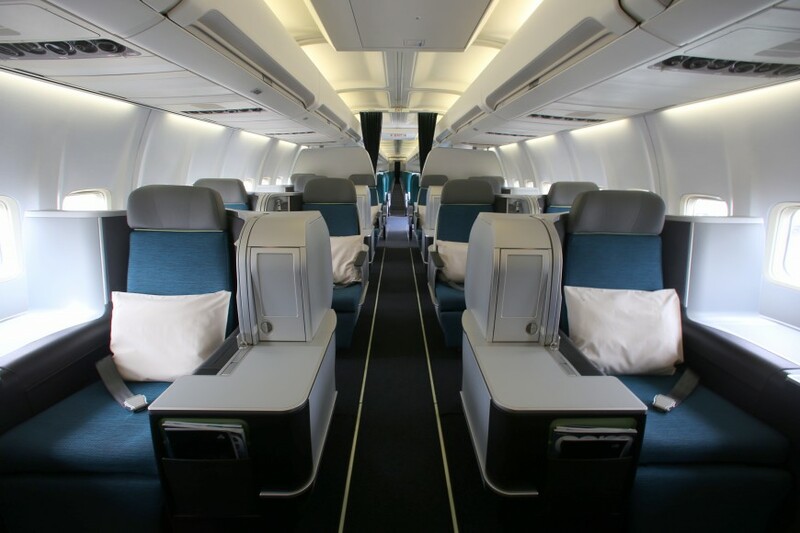 To launch the new Boeing 757 Business Class seating on North Atlantic routes Aer Lingus commissioned Contemporary Photography to create a Google Street View virtual tour. The tour features the inside of the Boeing 757 Business Class Cabin, the aircraft exterior and the Business Class Lounge in the Terminal Building. “Grab 40 winks under an Egyptian cotton duvet as your seat transforms into a fully-flat 6.5ft bed. Tempt your taste buds with expertly crafted Irish meals and snacks, paired with award-winning wine. Escape to another world with top quality screens and enjoy Hollywood blockbusters, great TV and lots more. “As a Business Class guest, you can use our exclusive Premium Check-in and Fast-Track through security when you’re leaving Dublin. Then relax in our exclusive lounge and choose from a range of refreshments before your flight. When you’re flying from North America, you can use our Premium Check-in. “As you’ve already completed US Customs and Preclearance in Dublin, simply pick up your bags with Priority Baggage Delivery once you land in North America and you’re ready to go.